The phrase ‘what have you done for me lately’ has been thrown around a lot lately in Carolina Panthers circles. The NFL, moreso than any other professional sport, with it’s 16 game schedule and seven day waiting period between contests, falls into this trap more often than we can think of – a 6-2 Panthers team that had fans thinking Cam Newton was a dark horse MVP candidate after the quarterback led the Panthers to 78 points in two contests a little less than a month ago has devolved into a team that has lost four straight with it’s head coach answering questions about job security after a loss to Tampa Bay bookended this stretch that nobody in the locker room saw coming – and nobody knows how to fix. One way Rivera tried to fix the problems was stepping in to help on the defensive side of the ball, as he said after the game that he “helped” with some of the defensive playcalling; it’s unclear how long he was “helping” alongside first-year defensive coordinator Eric Washington. Asked multiple times after the game, Rivera wouldn’t go further than to say he helped with the defensive playcalling, only saying that he wanted to lend “another set of eyes, another perspective” to a defense that had allowed 102 points over this three-game losing streak – it’s unclear when the ‘help’ began, but the Buccaneers had 207 yards and 17 points in the first half. They had 108 yards and a single touchdown in the second half. The lone touchdown stemmed from a 52-yard pass interference penalty called on Donte Jackson which led to a one-yard score for Tampa running back Peyton Barber. 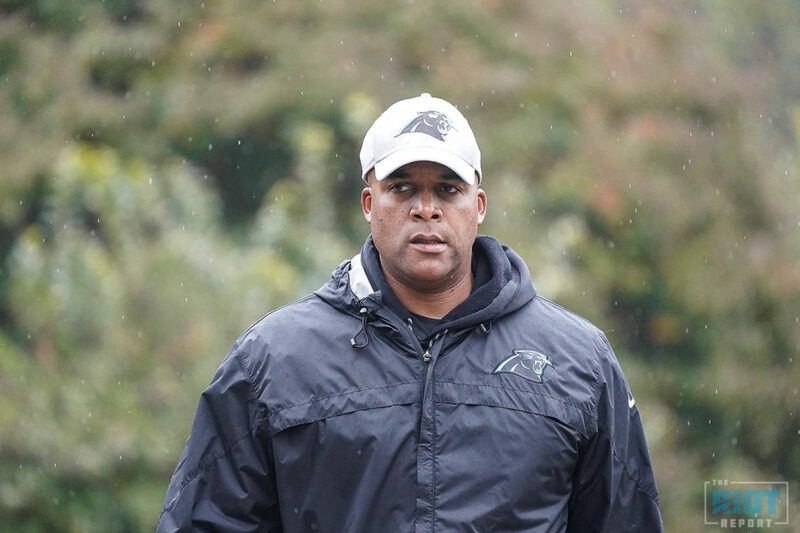 When trying to answer why the Panthers lost the game, Rivera pointed to – of course – Cam Newton’s four-interception day, but more interestingly, that penalty on Jackson, which he didn’t criticize for fear of reproachment from the league. This wasn’t just a must-win for the Panthers if they wanted to stay in the playoff hunt with two games against the 10-2 New Orleans Saints remaining; when reports surfaced Sunday morning that new owner David Tepper was antsy with the current football regime and might be looking to shake things up if the Panthers continued their losing ways. Rivera became visibly frustrated when asked about the rumors after the game and whether he was confident with his level of job security. 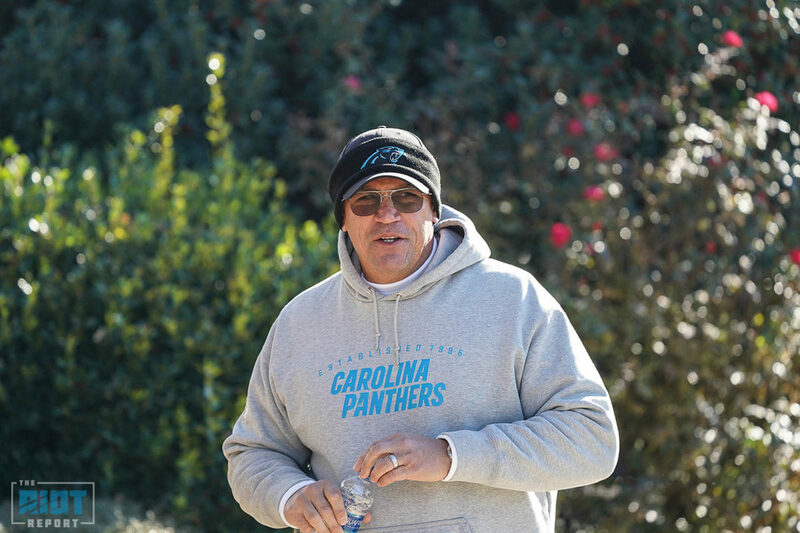 Whether or not David Tepper would move on from a coach that has guided their team to four playoff seasons in the past five years and the second Super Bowl appearance in their franchise history remains to be seen, but questions about Rivera’s decision-making in close games – the Panthers are 3-5 this season in games decided by one score or less – are fair to be asked; Rivera has, by his own admittance, made mistakes over the years. But veteran players like Ryan Kalil and Greg Olsen are quick to point the finger at themselves instead of blaming their coach. 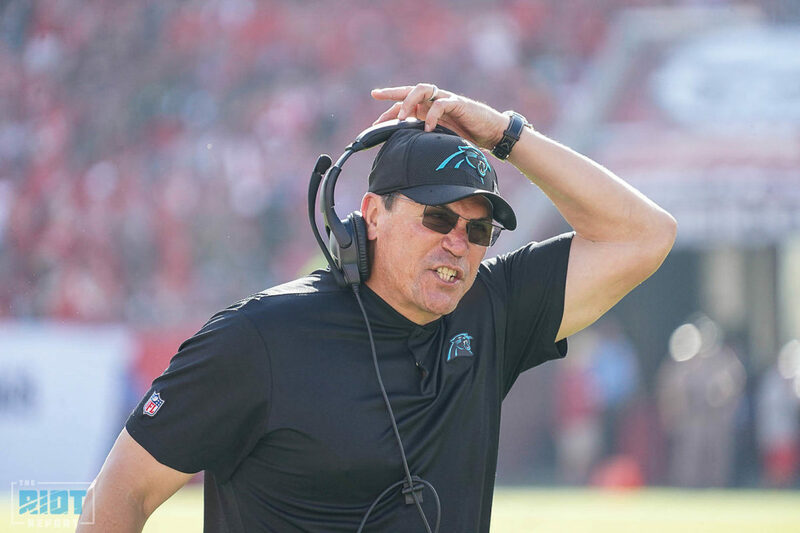 The coaches don’t miss tackles, don’t throw interceptions, don’t fumble the ball or bite on pump fakes – but it starts with the coaching and it’s not surprising that an owner whose top three focuses are winning, winning and winning would be unhappy with a four-game losing streak; but Rivera, whose overall record with the Panthers is 70-52-1, isn’t ready to believe the rumor’s until he hears it from the owner’s mouth. Only 28 days removed from the good vibes of Cam Newton impersonating Norv Turner after the Panthers blowout victory over the Bucs, a loss to the same team to drop the Panthers to 6-6 has fans clamoring for a change – excuses will not be tolerated from a fanbase – and an owner – with Super Bowl aspirations.  What has Ron Rivera done for them lately?